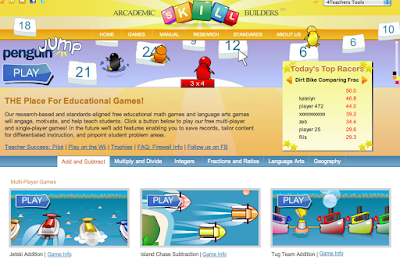 Arcademic Skill Builders are online educational video games that support math skills such as addition, subtraction, multiplication, and division. This is the first computer lab activity I introduce to my Grade 2 students each year. Students can play alone (against the computer), against strangers, or with their friends. Arcademic Skills Builders is completely safe because there is no way for players to communicate with one another online. Students wishing to play with friends can set up a password that they share in person. This way, friends in different households or in the same computer lab can compete against one another. Arcademic Skill Builders does not require a log in, nor does it store progress records for teacher access. 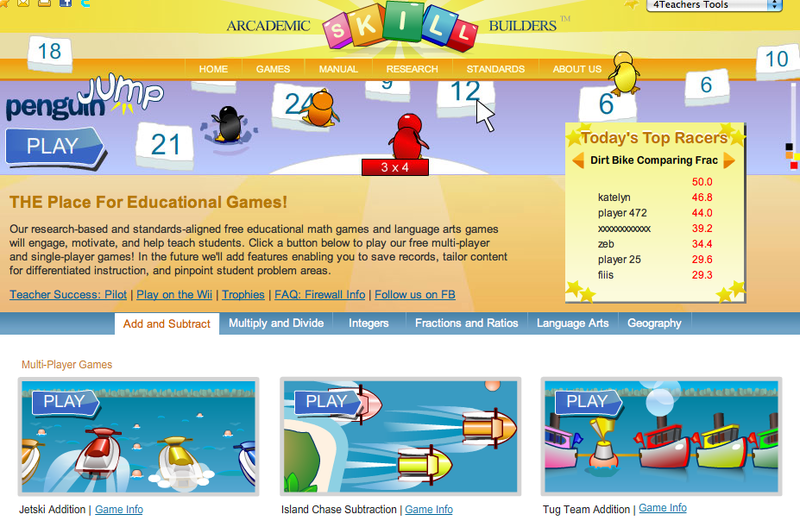 Please leave a comment to share how you are using Arcademic Skill Builders in your classroom.